4-14-03 - DREAM - I was working in the office of a car garage as a bookkeeper. The shop was actually across the street from where I was. A car came in to have a lock fixed and the charge was automatically $5.00, but I had to sit there and wait in case they found something else wrong. The time dragged on and I needed to get out of there and go to the book store on 70th and Greenfield because they had some Native Indian books I needed to get. Finally at 4 p.m., I had to leave, even though the car wasn't finished, because I had a feeling I was going to meet someone important on the way to the bookstore. As I left the office, I was walking south through the 4th floor of 20th St. school, my old elementary school. I introduced myself to the teachers who were trying to figure out who I was. I shook hands with them and said, "Hi! I'm Dolores Wilke." They were all surprised to see me and acted like they remembered me. At this point I was wearing a beige winter coat and red high-heeled shoes. Underneath the coat I was wearing a pink lace dress, and when I looked down at my feet, I had on pink lace moccasins. But then as I walked along, each step I took, showed my foot with a different color shoe on it. Most were white or red and white. When I finished meeting the teachers, it was now 4:30 p.m. I turned and went the other direction. I saw, watching me from a balcony, a giant-sized Native American man, wearing a huge winter coat similar to what they wore in the 1800's when they went to Washington, D.C. 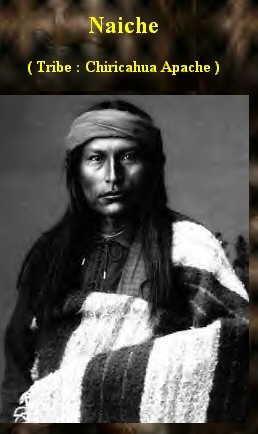 He came and introduced himself to me, but I can't remember his name, but know he was Apache. He stood about a foot taller than myself and when he put his right arm around my shoulders, I felt extremely protected. I said, "I knew I was going to meet someone along the way!" 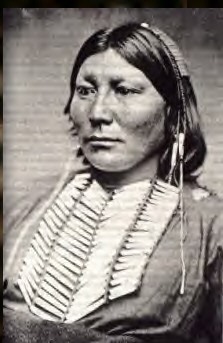 In remembering back later about the dream, I recall having a piece of paper in my hand given to me from an Apache grandmother, who stood off to the right at a distance, which was like a Treaty and I needed to research it. 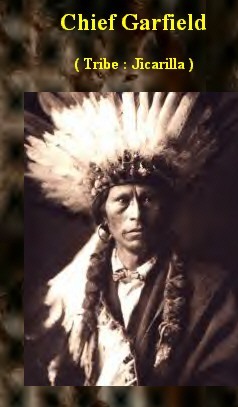 The Apache man and I walked along the hall and went down the stairs to the first floor. The doors and gates were locked and there was a sign pointing to the main entrance on 70th St. where we would need to exit and then walk all the way back south to Greenfield Ave. again to the bookstore. Before we got to the main entrance, we stopped at a small restaurant where we were going to have dinner together. 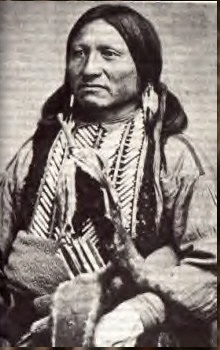 I thought I was having chicken and rice soup, but at the end of dinner there was a thick uneaten pork chop in front of me and the Apache man had a huge cattle or buffalo bone on the table in front of him. He offered to pay for my dinner and put some money on the table, but I said, "No! Thanks! But I'll pay my own way." and the offered the uneaten pork chop to the waitress to take home to her kids. She looked familiar to me, but I can't think of her name. By then it was 5:30 p.m. and we needed to get going and get to the bookstore by 6 p.m. 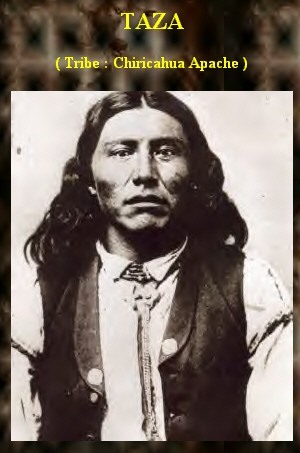 The Apache man was going with me. 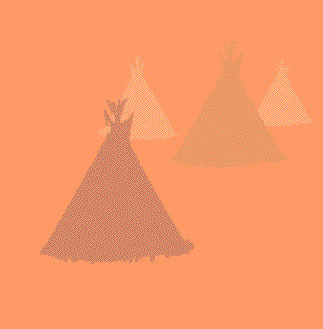 4-14-03 - I fell asleep while remembering the above dream and found myself in a classroom, writing down my dream, but embedded in my desk was a little glass insert and I was writing on the glass with a stylus and was channeling the Apache Indian. I remembered that this would take about two minutes. The teacher interrupted me to tell me they were going to be bringing in some other students to sit at a table near me. I got upset, thinking they would be small noisy little kids, but she said they would be adult students. So, I sat there and watched the students coming into the room. Some were men and some were women - like young serious college students. 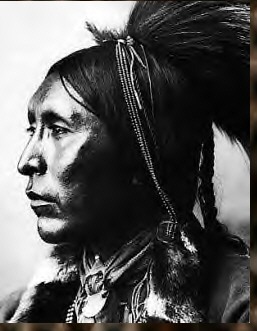 They were going to be studying the same thing I was - the Apache Treaty. but a loving husband and father to his many children. He never killed unless it was necessary, preferring to take captives and not kill the people. As a warrior he was a compassionate man. 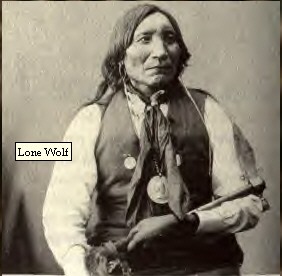 Lozen was born into the Chihenne, Warm Springs Apache band, during the late 1840's. 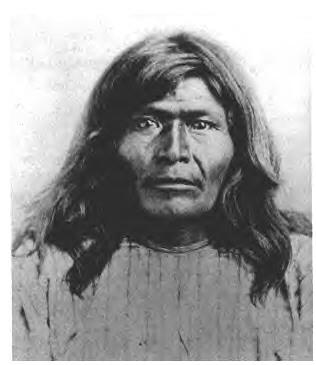 She was the younger sister of Victorio and a skillful warrior, a prophet, and an outstanding medicine woman. 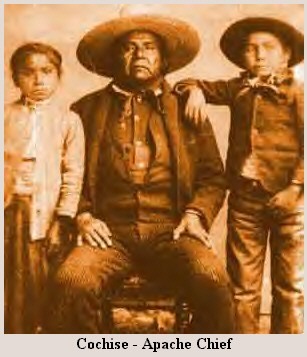 Victorio is quoted as saying, "Lozen is my right hand . . . strong as a man , braver than most, and cunning in strategy, Lozen is a shield to her people." Legend has it that Lozen was able to use her powers in battle to learn the movements of the enemy and that she helped each band that she accompanied to successfully avoid capture. 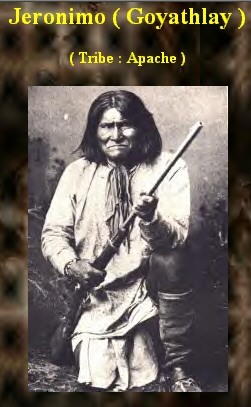 After Victorio's death, Lozen continued to ride with Chief Nana, and eventually joined forces with Geronimo's band, eluding capture until she finally surrendered with this last group of free Apaches in 1886. She died of tuberculosis at the Mount Vernon Barracks in Mobile, Alabama. 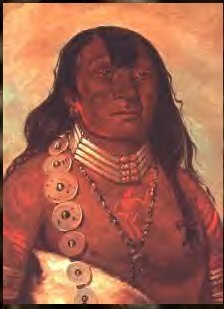 The Apache were located in the Southwest (Arizona, New Mexico, Oklahoma and Texas). 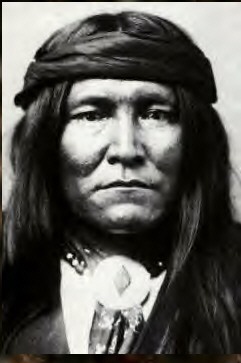 Sub-tribes made up the Apache nation. 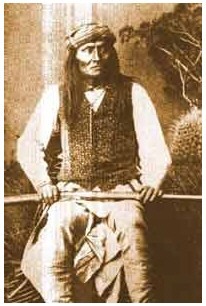 They were the Aravaipa Apache, Chiricahua Apache, Cibecue Apache, Jicarilla Apache, Kiowa Apache, Lipan Apache, Membreno-Mescalero Apache, Tonto Apache, Ute Apache, Western Apache and White Mountain Apache.